As of September 2017, there were 4,923 households on the Centralized Waiting List in Niagara. This represents 10,2017 people waiting for Rent-Geared-to-Income (RGI) housing across Niagara. Statistics Canada provides the following notes on the core housing need concept: “Core housing need was derived in two stages. The first identified whether the household was living in a dwelling considered unsuitable, inadequate or unaffordable. Housing suitability identified whether the dwelling had enough bedrooms according to its size and composition. Housing adequacy was assessed based on the Dwelling condition not being reported in need of major repairs. A shelter-cost-to-income ratio of less than 30% was required to deem the housing affordable. The second stage established whether the household could be expected to have affordable access to suitable and adequate alternative housing by comparing the household’s total income to an income threshold based on local housing costs. 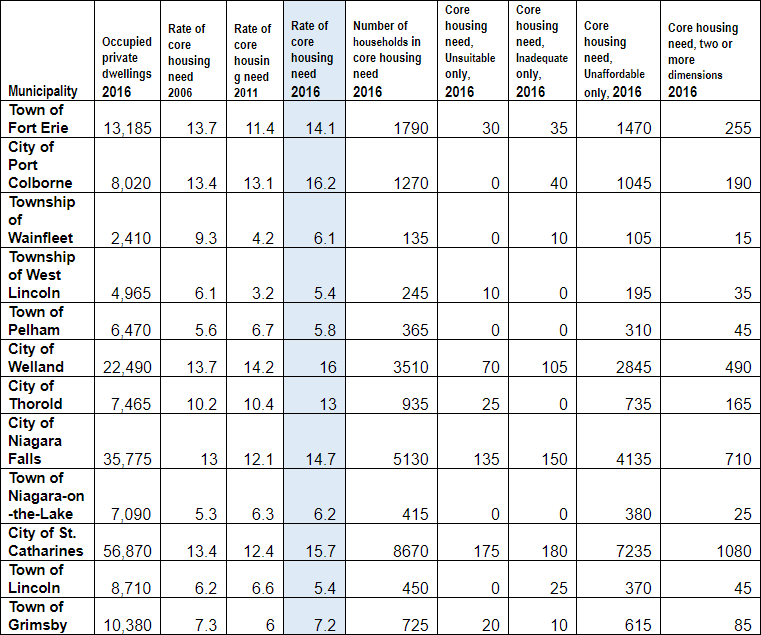 Only those households who could not afford alternative housing would be considered in core housing need”. The HEART project articulates the views of homeless individuals in Niagara, regarding the significant healthcare challenges they face around: access and discharge from hospitals; adequate and comprehensive psychiatric and mental health services across service providers; and availability and continuity of care from family doctors. Source: HEART (Health and Equity through Advocacy, Research and Theatre) research program, McMaster University DeGroote School of Medicine Niagara Campus students, 2017. The above information is also included in the Health and Wellness Sector of this report. Niagara Region Community Services (NRCS) provides information about Hostels and Homelessness Prevention services and programs across Niagara. NRCS manages the administration of homelessness prevention programs in the region using funding from the provincial and federal governments. They also contract with agencies for shelter placement and hostel provision. – Women’s Place of South Niagara Inc. 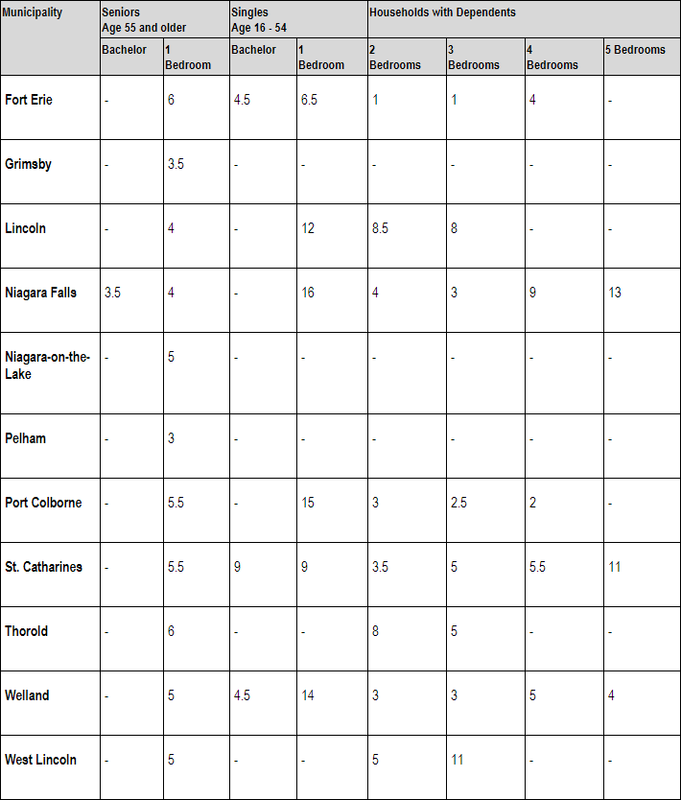 The following table is the Hostels dataset from the Niagara Open Data Portal. There are 8 records in the dataset. Source: Niagara Region. (2016). Hostels [Data file]. In April 2016, Niagara completed its first ever point-in-time count of homeless individuals. 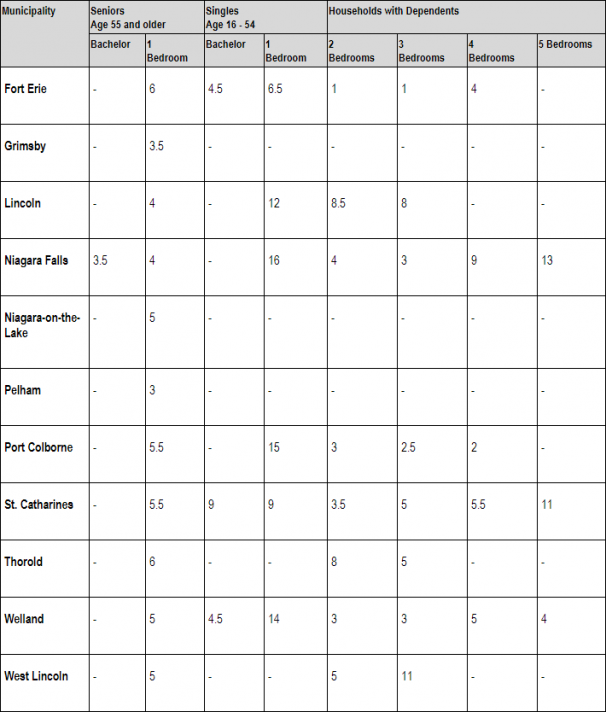 Over a 24-hour period, more than 140 volunteers counted and surveyed people staying in shelters, short-term housing and sleeping rough (without shelter), providing a “snap-shot” of homelessness in Niagara. The Count will help us better understand who is homeless, what their needs are, and provide baseline data so we can measure our progress towards ending homelessness. 424 individuals were counted in 13 shelters. In the coldest months, people living on a limited income may be faced with making a choice between buying food and paying for utilities. Having access to Out of the Cold is one way to help individuals and families stay housed. When people are able to get a hot meal, they can direct their funds to paying for utilities and other expenses, and thus maintain their housing. For individuals without a home, Out of the Cold provides a hot meal plus a safe warm bed. It also provides a connection point to other community services. The dinners are well-attended, with more than 30,000 served each year, between November and March. Out of the Cold St Catharines began in 1995. After hearing about Out of the Cold in Toronto and being very concerned about increased poverty and homelessness, people at Queen Street Baptist Church in St. Catharines started an Out of the Cold pilot project, operating one night a week. Soon other churches gathered volunteers and opened their doors, making Out of the Cold services available every night from November 1- March 31. Today, Out of the Cold is supported by churches, community organizations and individuals who are concerned about poverty and homelessness. The following tables and graphs are based on data provided by Start Me Up Niagara. Note: demographic data pertains only to individuals staying overnight. The RAFT’s Youth Reconnect Initiative is recognized as a Canadian best practice model for integrated youth programs in rural communities. Evaluation of impact on the lives of the 563 individuals aged 16 to 19 served between 2008 and 2014 shows that upon discharge 88% found stabilized housing or were prevented from experiencing housing breakdown, and 70% were attending education. This resulted in estimated savings of $115,920 to the shelter system. Public and private sector savings through secondary school dropout prevention are estimated at $4,718,688. A 2017 plan to end youth homelessness in St. John, New Brunswick cites Youth Reconnect as a ‘Promising Practice’ model. In 2017, the RAFT partnered with the District School Board of Niagara to pilot the Upstream project, to prevent youth homelessness by reaching at-risk youth in school. Upstream is based on a successful Australian model that proves at-risk youth can be turned around if they are caught in time and referred to appropriate supports and services. Many homeless youth became homeless before they were 16, and youth who leave home at a younger age experience greater adversity on the streets. Homeless youth often have multiple episodes of homelessness and experience housing instability for years prior to their current experience of homelessness. A high percentage of homeless youth experienced childhood abuse and involvement with child protection services, often beginning at a very young age. Homeless youth have high drop out rates and experience numerous challenges in school, including bullying and difficulties related to learning disabilities. Ongoing housing instability – over half stayed in more location the previous month, and 10.2% stayed in more than five places. High levels of chronicity – almost one third were chronically homeless (continually homeless for more than one year), and 21.8% were episodically homeless (multiple experiences of homelessness over the past 3 years). Nutritional vulnerability – almost half had access to good quality food once a week or less, one third report having little or no energy on a day-to-day basis. Declining mental health – 85.4% reported high symptoms of distress, 42% reported at least one suicide attempt, 35.2% had at least one drug overdose requiring hospitalization. Low school participation – drop out rate among homeless youth is 53.2%, compared to the national rate of less than 9%. 73.9% of those who dropped out would like to return to school. Unemployment – 75.7% were unemployed, compared to a national youth unemployment rate of 13.3%. Criminal victimization – 68.7% had been victims of a crime, compared to 19% of the Canadian public. For violent crimes, the rate among homeless youth was 59.6% compared to the national rate of 7.6%. Sexual assault was especially prevalent among young women and transgender/gender non-binary youth. All communities and/or municipalities should plan and implement strategies to prevent and end youth homelessness. Communities should focus on prevention and strategies to move young people out of homelessness instead of expanding emergency services. Community strategies should focus on systems integration to facilitate smooth transitions from homelessness and ensure no young person slips through the cracks. Community strategies should necessarily ensure that local and program responses take account the needs of priority populations. Enable all young people who experience homelessness to reengage with education and training. Make ‘family reconnect’ supports available to all young people who come in contact with the system. Housing First for Youth should be broadly applied as both a community philosophy and as a program intervention. In working with young people, communities should focus not on just risks, but assets and resilience. Mental health and addictions needs of young people should be prioritized in community planning and service delivery. Foster meaningful youth engagement in all policy development, planning, and implementation processes. Source: “Without a Home: The National Youth Homelessness Survey”. The Canadian Observatory on Homelessness. 2016. Goal: Moving people who are chronically and episodically homeless as fast as possible from the street or emergency shelters into permanent housing with supports. Current status: Focus on developing a model of service delivery for Niagara that will better serve clients with repeated instances of homelessness. Goal: Reduce the prevalence and incidence of homelessness. Current status: By initiating proven strategies, this work will have a long-term impact of reducing homelessness keeping at-risk youth and adults housed. A comprehensive youth strategy will be developed as part of the work. Goal: Provide clients with a centrally located destination that offers more of the services they need all under one roof. Includes: Housing provided by the private, public and not-for-profit sectors, and availability and quality of housing. Current status: Researching local, national and global innovations in housing affordability and developing a forum to engage a broader cross-section of people in Niagara to collaborate to introduce innovations in Niagara. Includes: A no wrong door approach provides individuals with appropriate service regardless of where they enter the system of care. All services in a no wrong door approach respond to the individual’s stated and assessed needs through direct service or linkage to appropriate programs. A no wrong door approach does not send a person from one agency to another. Current status: This group is researching options and best practices for developing a common intake/assessment tool, an integrated service network and a unified outcome measurement tool, with a goal of streamlining intake and service delivery for clients across Niagara. Task force member: Mike Taylor, Executive Director, Youth Resources Niagara. The Indigenous Homeward Bound program being developed at both the Fort Erie Native Friendship Centre and Niagara Regional Native Centre in Niagara-on-the-Lake is a 4-year holistic job-readiness program that integrates key supports such as safe, affordable housing, childcare, skills training and college education to help under-housed and homeless single mothers change their lives. Developed by WoodGreen Community Services in Toronto, the Homeward Bound model demonstrates an 80% participant success rate and a $4.00 return to society for every dollar invested in the program. In 2015-2016, the Ontario Federation of Indigenous Friendship Centres and WoodGreen conducted a community-based feasibility study to design a Homeward Bound model to meet the needs of Indigenous communities. With support from Ontario’s Local Poverty Reduction Fund, through the Ontario Trillium Foundation, WoodGreen is collaborating with 6 Indigenous Friendship Centres across Ontario, including the 2 Centres in Niagara, to adapt Homeward Bound for the urban Indigenous context. Participating Friendship Centres include Dryden Native Friendship Centre, Timmins Native Friendship Centre, Niagara Regional Native Centre, Hamilton Regional Indian Centre, N’Amerind (London) Friendship Centre, and the Fort Erie Native Friendship Centre. Source: WoodGreen Community Services, Toronto. Habitat for Humanity brings the community, volunteers and the private sector together to help build strength, stability and independence through affordable homeownership. Habitat bridges the gap that exists in the housing continuum between social and rental housing; and market ownership, by providing an opportunity for families that would otherwise have no chance at homeownership. Habitat homeowners pay for their homes, through an affordable mortgage that is never more than 30 percent of their income. Habitat for Humanity Niagara reports that every Habitat home built creates a social return on investment of $175,000 for the local community. In 2016, Niagara was one of 22 communities selected by the Ontario Ministry of Housing to receive funding over 2 years, as part of the Survivors of Domestic Violence Portable Housing Benefit Pilot program, in support of the provincial goal of ending chronic homelessness in 10 years. The $652,476 of federal-provincial funding is being allocated by Niagara Regional Housing to assist 50 qualified Special Priority status households (victims of violence). These households are being offered a portable rent benefit with which they can seek out accommodation that best meets their household needs in the private sector. A portable housing benefit is a subsidy provided to a low-income household to help with housing costs. The subsidy gives a household the freedom to choose where to live, since it is not tied to a specific unit like most rent-geared-to-income social housing. Source: Ontario Ministry of Housing, September, 2016 and Niagara Regional Housing, July, 2016. 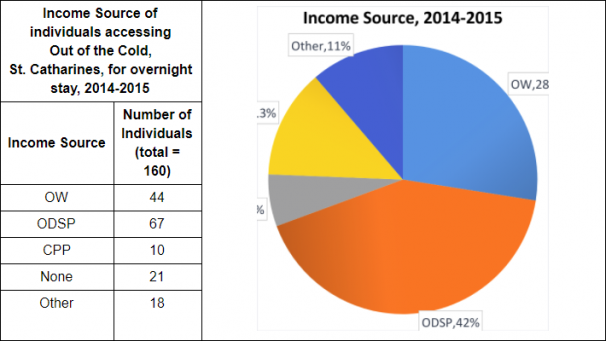 Niagara Region Social Services reports that in 2017, one hundred new Housing First subsidies with case management supports were established across the region. The Region awarded continued and new funding to 50 homelessness programs and supports across Niagara. As well, the Hope Centre in Welland continued to develop as a hub of multiple services and support including homelessness prevention, shelter, mental health and addictions supports and a food bank. In 2016, Niagara Regional Housing (NRH) received more than $6 million from the federal- provincial Social Housing Improvement Program (SHIP) for social housing repairs and energy retrofits and $268,000 from the provincial Social Housing Electricity Efficiency Program (SHEEP) to assist three social housing providers with energy efficiency retrofits. In October, 2017, the provincial government announced $5.4 million over 3 years of new ‘Home for Good’ funding, to bring 23 new and 40 community-based Supportive Housing units to Niagara. 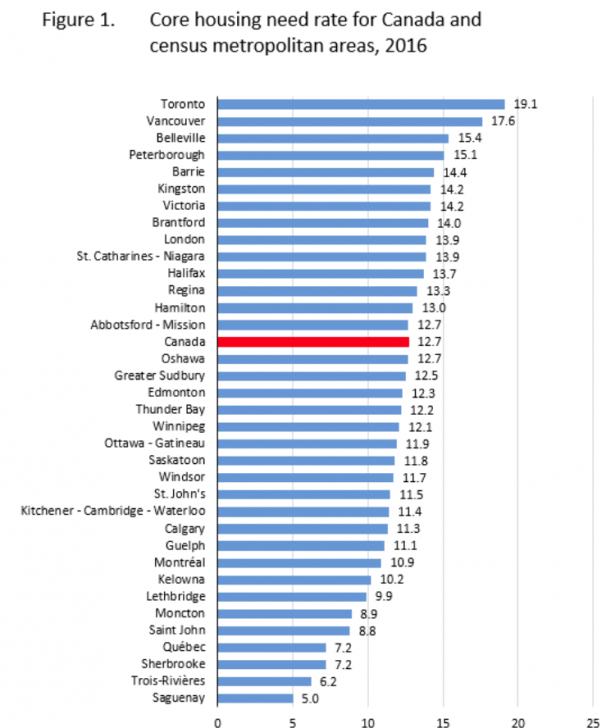 Source: Niagara Region and Niagara Regional Housing, correspondence and media releases.